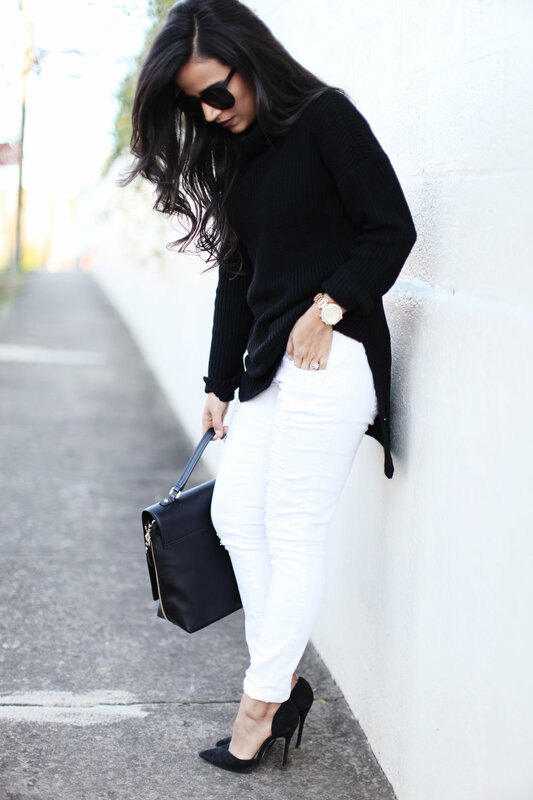 I love a pair of white denim, I have had these for years and am currently on the hunt for a new pair. Unfortunately, now is not the season to shop for white denim since most stores near the end of summer pull them off the shelves. In the spring, when they are back on the shelves, I plan on trying a couple of stores like Old Navy and Express. Old Navy has recently been my go-to for jeans, I absolutely love their fit, styles, and price. In the meantime, I will be living in oversized sweaters!